QGroundcontrol "Detected 0 radio channels. 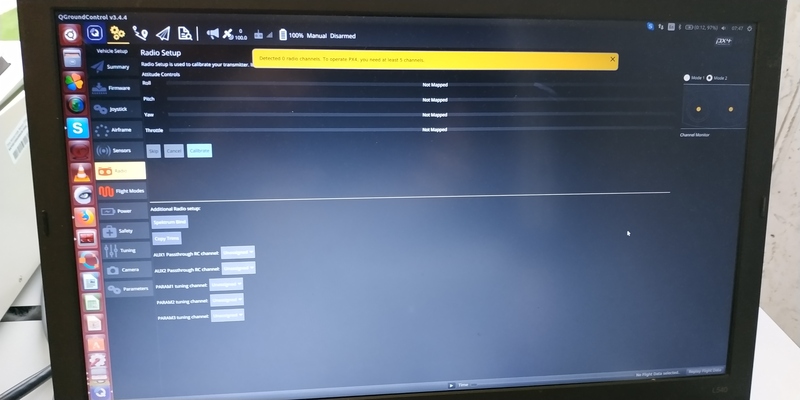 To operate PX4 you need at least 5 channels"
I wan to calibrate the RC transmitter (Graupner mz-12) and the Receiver (Graupner hott, 2400) by means of Qgroundcontrol under ubuntu 16 over the Pixhawk mini. I have connected ch6 from the graupner receiver to the RCIN on the pixhawk mini. I have binded ch1 to ch 5 (transmitter and receiver), and set up to "ON" the RF transmit from ch1 to ch5 on the receiver. In other words, RF sett->rx = R06 (which means is binded) and RF->RF = ON. In every channel from 1-5 and channel 6 is set to "free"
I upload some pictures of the setup. I am looking forward to your replay. and thank you. 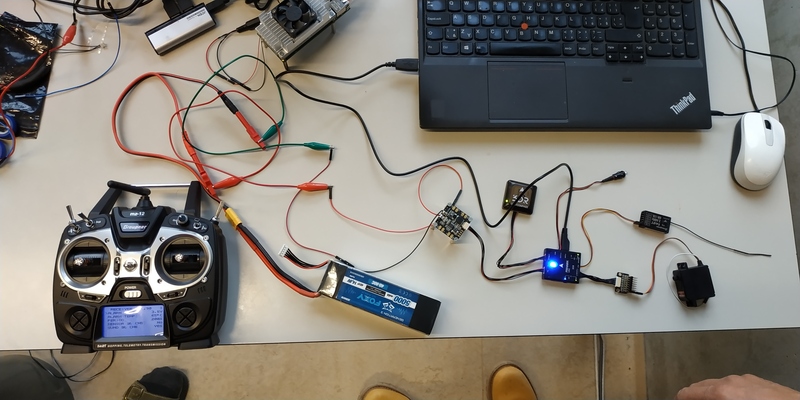 PPM receivers that have an individual wire for each channel must connect to the RCIN channel via a PPM encoder like this one (PPM-Sum receivers use a single signal wire for all channels). You gave me 3 cases. Which one of the three cases is my case? And, how can I solve it. 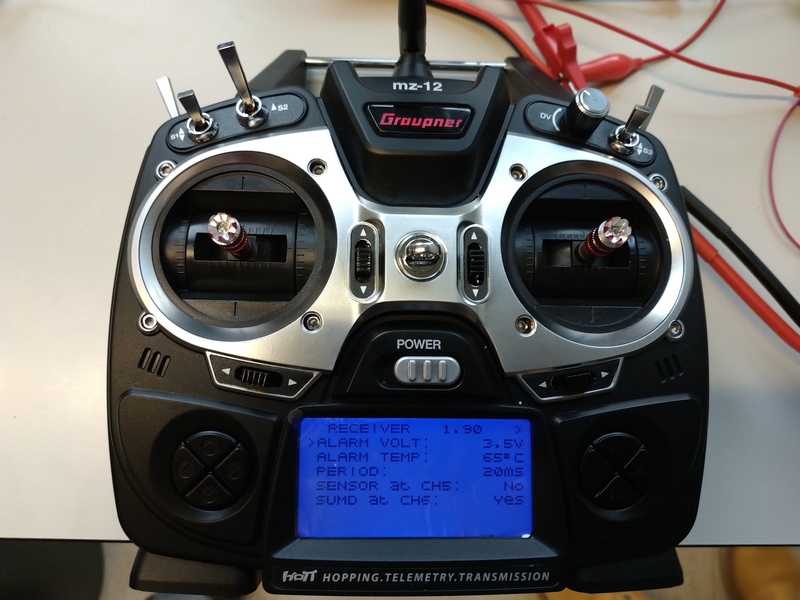 Spektrum and DSM receivers must connect to a SPKT/DSM input of the pixhawk mini, with the appropriate cable, coz the rc in port is different in size. 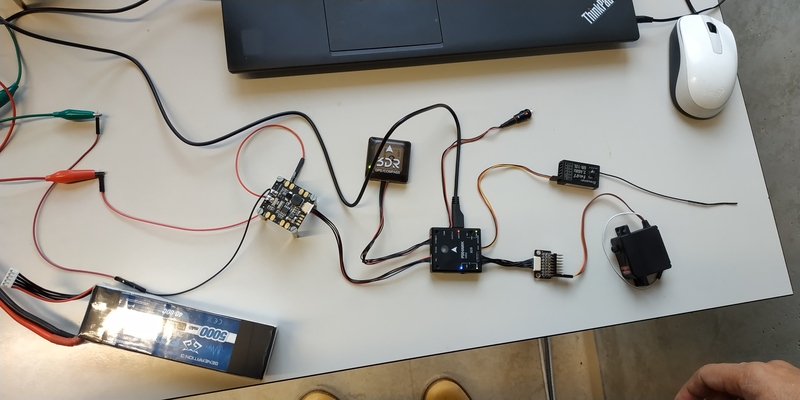 do you have an schematic on how to wire SUMD from the hott 2400 graupner receiver and the SPKT/DSM port of the pixhawk mini?